For more than a decade several Canada geese have been doing the unexpected – that they aren’t going back to Canada. As a result, the Northeast United States is now home to an alarming number of these problematic birds. Tighter Federal and State protective regulations combined with the changed migration patterns of these birds have contributed to their settlement and expansion. From Connecticut to New York and the rest of the Tri-State area, populations of Canada geese are causing severe problems for the locations they continue to settle in. The problem with those 5 million or so resident Canada geese is the average full grown goose eats 3 pounds of grass per day, which is returned via a 1.5 pound bundle of droppings. For many people, this might not be of much concern. For property owners with sprawling lawns of wonderful value, however; these Canada geese are much more than just a nuisance. The increasing amount of yearlong geese settlers has resulted in significant troubles for the New York, Westchester, Putnam, Duchess, Long Island, and Southern Connecticut areas. Large flocks of geese are causing harm and posing human health risks in parks, waterways, golf courses, residential areas, corporate campuses, cemeteries and schools. According to the New York State Department of Environmental Conservation and the U.S. Department of Agriculture Animal Health Inspection Service,”[Goose]Issues include over-grazed lawns, accumulations of droppings and feathers on play areas and paths, nutrient loading ponds, public health concerns at beaches and drinking water supplies, aggressive behavior by nesting birds, and safety hazards near streets and airports”. For property owners whose landscapes are plagued with the Canada goose, it is important to utilize both a secure and efficient method for discouraging these pest-like birds who frequent their lawns. 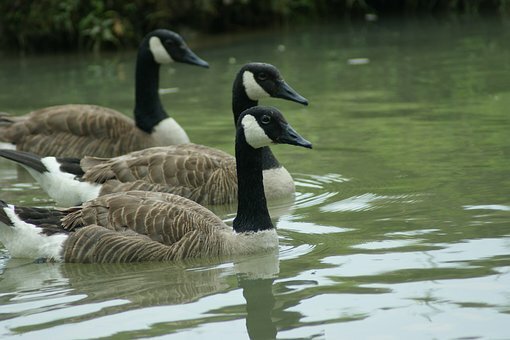 Individuals with Canada goose problems often make the mistake of using dangerous or quick fixes like poisons, noisemakers, grid wire, and plastic replicas of goose predators. Not only are these methods temporary, but they can be dangerous. It’s important (for both the environment and one’s wallet) to create the smart choice of using safe and humane goose control solutions that continue. The Canada goose problem is growing in the Northeast. However, goose problems do not need to be your issues with local businesses that are available to provide safe and effective solutions to the increasing amount of avian immigrants in the north.